Is it murder, or is it not? An American exchange student and his French girlfriend trip into the investigation and its subset considerations of Parisian life. 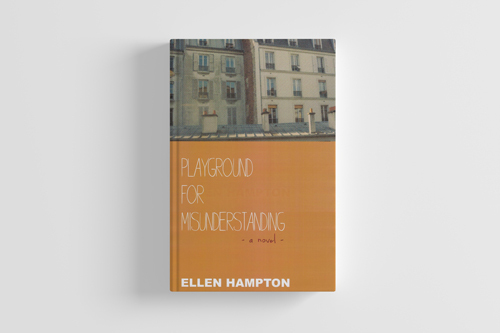 Playground for Misunderstanding takes a smart and funny walk along faultlines of communication between French and American, male and female, old and young, in the sublime chaos of today's Paris. Or is it yesterday’s? So hard to tell. Women of Valor tells the extraordinary story of the Rochambelles, the only women's unit to serve on the front lines of WWII. Organized in New York by a wealthy American widow determined to create an all-female ambulance corps, they served with unflinching courage—saving soldiers from burning camps, dodging bombs, bullets, and mines, and even talking their way out of German hands. Behind the trappings of royal majesty and Renaissance glory, the stock of French historical tales, are the men and women of medieval power who brought France into being: landed barons with castles and militias and never-ending trouble on their hands; bishops balancing the interests of church and flock against their personal wealth; families whose losses in battle could mean the end of their noble line; peasants surviving only by wit and by stealth. No need to invent the stories, they were written by monks nearly a thousand years ago. In this series, historical figures follow the facts as we know them, with fictional motivations, conversations and deep romantic entanglements added to the mix. Copyright 2019 Ellen Hampton Books. Website by Chronicler Studio LLC. All rights reserved.